Horizon Capital, a U.S. private-equity firm investing in high growth and export-driven companies in Ukraine and the near region, has announced the final closing of its third fund, $200 million Emerging Europe Growth Fund III LP, far surpassing the $150 million target size announced in 2017. “EEGF III’s investment strategy is focused on fast-growing, export-oriented companies that leverage Ukraine’s cost competitive platform to generate global revenues primarily in IT, light manufacturing, food and agriculture. The Fund will also pursue investments in select, high-growth domestic market segments, including e-commerce, healthcare and pharma, consumer goods and financial services,” Horizon Capital said in a report on Wednesday. According to the press release, investments will range from $5-20 million and be made over the next two or three years. Horizon Capital said that EEGF III has made six investments to date, five in the core sectors driving Ukraine’s export boom and best-positioned to access global markets, including IT, light manufacturing and food and agro. The Fund has backed Genesis, global IT product company; Intellias, fast-growing large IT services company; Yarych, leading biscuits producer; MAIB, No. 1 bank in Moldova, and others. According to the press release, in what marks the largest private equity fund raised for Ukraine in a decade, Horizon’s EEGF III received strong backing from existing and new investors, attracted by the excellent value, fast growth and abundance of opportunities that Ukraine offers. “Our fundraising success should send a strong signal that Ukraine offers tremendous rewards for those willing to look past the headlines,” Horizon Capital’s Founding Partner and CEO Lenna Koszarny said. According to the press release, EEGF III was launched with an anchor commitment from Western NIS Enterprise Fund and attracted investments from the EBRD, FMO, IFC, PROPARCO, DEG, and IFU with over one-third of capital raised from institutional investors, foundations, family offices and other private investors. 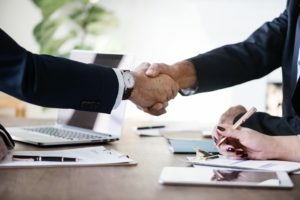 Horizon Capital said that the new fund enjoys strong backing from existing investors of Horizon Capital’s prior funds, who contributed over 55% of total commitments. U.S. and Europe-based investors contributed roughly 35% each of total capital raised, with the remainder from other international investors. Ukraine in January-November 2018 exported electricity worth $297.619 million, including $31.505 million in November alone. 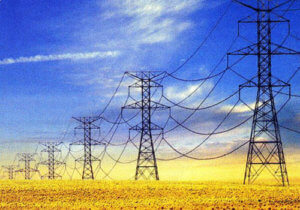 Hungary bought electricity worth $170.705 million, Poland $70.792 million, Moldova $48.019 million, other countries $8.103 million, Ukraine’s State Fiscal Service has said. Over the period under review, Ukraine imported electricity worth $1.316 million, in particular, electricity imports from the Russian Federation were estimated at $1.245 million, from Belarus at $0.064 million, from Moldova at $0.008 million. As reported, Ukraine plans in 2018 to increase exports of electricity to the EU and Moldova by 13.3% from 2017 to 5.855 billion kWh. According to the forecast for 2018, deliveries from the Burshtyn TPP energy island to Hungary, Slovakia, Romania will be 3.6 billion kWh, to Poland 1.2 billion kWh, and to Moldova 1.055 billion kWh. 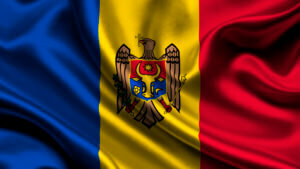 Ukraine and Moldova plan to bring mutual trade to $1 billion in 2018. This was discussed during a meeting of the heads of government of Ukraine and Moldova, Volodymyr Groysman and Pavel Filip, in Kyiv on Saturday, the press service of the Ukrainian government said. “I’d like to note the positive trends in our mutual trade. According to the results of the first half of the year, we have increased our trade by 40% – up to about $500 million. We can reach $1 billion by the end of the year,” said Groysman. The premiers also noted that the planned joint activities between Ukraine and Moldova are being carried out. So, joint control has been introduced at the international check point Kuchurgan – Pervomaisk, two more control points are being prepared for this procedure. The issue of drivers’ stay on the territory of Ukraine and Moldova has been settled. We plan in the near future to start construction of a new bridge across the Dniester and further implementation of the project is to merge the power systems of the two countries with the European ENTSO-E system. The government of Ukraine will offer Moldova to build a bridge across the Dniester in Vinnytsia region, Ukrainian Deputy Prime Minister Volodymyr Kistion wrote on Facebook on Wednesday. “From the economic point of view, the project is advantageous not only to Ukraine and Moldova, but also to the entire European Union. Therefore the Ukrainian government is going to come up with a proposal to the Moldovan side to sign an intergovernmental agreement soon and start building the bridge,” he said. According to Kistion, the shortest way between Kyiv and Chisinau today is the road through the city of Yampil in Vinnytsia region, which also includes a ferry service between two European countries with a length of 100 km, which has become obsolete and obsolescent long time ago. The construction of this bridge is stipulated in the Transport Strategy of Ukraine until 2030, he added. Ukraine in January-June 2018 exported electricity worth $160.663 million, including $23.485 million in June alone. Hungary bought electricity worth $97.355 million, Poland $39.004 million, Moldova $20.483 million, other countries $3.821 million, Ukraine’s State Fiscal Service has said. 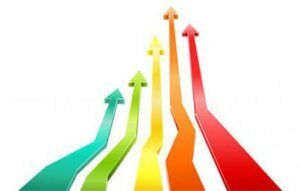 Exports of Ukrainian electricity in monetary terms in January-June-2018 increased by 17.8% compared to the same period in 2017 ($136.351 million). 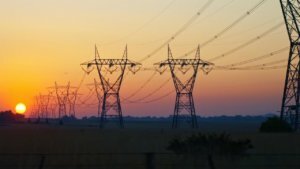 Over the period under review, Ukraine imported electricity worth $0.803 million, in particular, electricity imports from the Russian Federation were estimated at $0.766 million, from Belarus at $0.035 million, from Moldova at $0.002 million.